Lighter weight, firmer, extremely durable for wet, humid beach play and in a high visibility color. 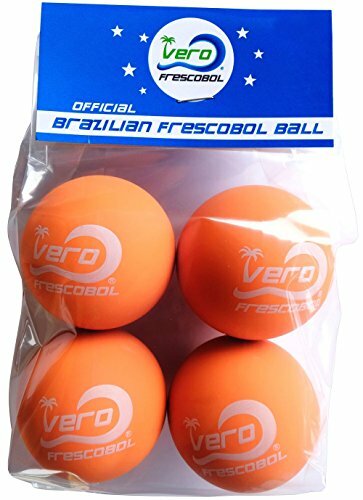 Best ball for outdoor, fun, long and consistent rallies with your friends and family. Not too fast, not too slow - just right. Introductory SALE. Free shipping when combined with Vero Frescobol paddles. Fast international shipping. If you have any questions about this product by Frescobol, contact us by completing and submitting the form below. If you are looking for a specif part number, please include it with your message.